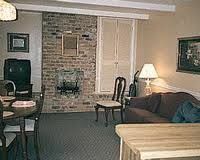 Vacation in the heart of the New Orleans French Quarter with a timeshare rental or timeshare resale at Mardi Gras Manor. See the sights, hear the sounds, and savor the cuisine of the Big Easy. 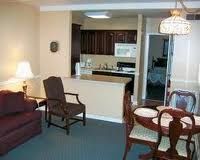 It’s all only footsteps away from your vacation ownership resale at this urban destination. 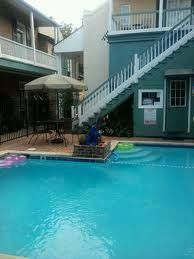 The resort is approximately twenty miles east of the New Orleans Louis Armstrong International Airport in Kenner. Although parking is limited, don’t worry -- you won’t need a car to enjoy your New Orleans holiday when you stay at this centrally located property. Walk from your timeshare to the restaurants and entertainment of Bourbon Street, and spend time touring nearby historic homes, museums, and the Aquarium of the Americas. Vacation owners love being able to explore the city from their Mardi Gras Manor urban timeshare, but they also appreciate winding down at the end of each busy day. Chill out in the resort’s swimming pool or put your feet up in the hidden courtyard, and enjoy a glass of southern sweet tea—Big Easy style! In an area that abounds with historic charm, the buildings at this New Orleans resort were constructed prior to the year 1840, and many units include period-appropriate furnishings. This doesn’t mean, however, that you’ll sacrifice any important conveniences. All timeshares have a dishwasher and microwave in their full kitchen, internet access with WiFi, one or more cable or satellite televisions with DVD player, and central heating and air conditioning. Featuring studio units, and both one- and two-bedroom floor plans, this New Orleans resort has courtyard-facing accommodations. Two-bedroom condos are designed to sleep up to six vacationers, and have one private bathroom, a living and dining area, cable televisions, an outdoor space with patio furniture, and a well-equipped kitchen. Typically, you’ll find a queen bed in the master, twin beds in the second bedroom, and a full sleeper sofa in the living area. Studio units include a queen bed and are designed to accommodate two vacationers, while one-bedroom floor plans sleep up to four and have a queen bed in the private bedroom and a queen sleeper sofa in the living area. Contact Mardi Gras Manor Specialist Today!